The general aviation component of DHS’s nationwide “If You See Something, Say Something” campaign, and a streamlined system for vetting passengers and crew on general aviation aircraft entering and exiting the United States through a single, Department-wide process. “This new component of ‘If You See Something, Say Something’ will enable general aviation passengers and crew to better recognize and report behaviors and indicators associated with new and evolving threats,” said Secretary Napolitano. Today’s announcements came as Secretary Napolitano and Administrator Pistole visited the 2010 Experimental Aircraft Association (EAA) AirVenture air show in Oshkosh, Wis., where they met with general aviation industry leaders to discuss ongoing efforts to protect the international aviation system from threats of terrorism. The “If You See Something, Say Something” campaign—originally implemented by New York City’s Metropolitan Transit Authority and funded, in part, by $13 million from DHS' Transit Security Grant Program—is a simple and effective program to raise public awareness of indicators of terrorism, crime and other threats and emphasize the importance of reporting suspicious activity to the proper transportation and law enforcement authorities. The general aviation “If You See Something, Say Something” campaign is the second major expansion of the program since June, when Secretary Napolitano announced the initiative’s first phase, for surface transportation. In the coming months, DHS will continue to expand the campaign nationally with public education materials, advertisements and other outreach tools to continue engaging travelers, businesses, community organizations and public and private sector employees to remain vigilant and play an active role in keeping our country safe. As part of the general aviation component of “If You See Something, Say Something,” DHS is asking the public to report suspicious general aviation activity to TSA’s hotline at 1-866-GA-SECURE. 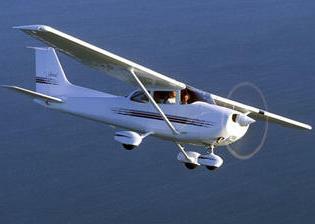 Additionally, DHS will streamline the process for pre-screening passengers and crews entering and exiting the United States on general aviation aircraft by allowing pilots and operators of general aviation flights to submit a single manifest to the Electronic Advance Passenger Information System (eAPIS)—U.S. Customs and Border Protection’s (CBP) online tool for submitting general aviation data. This will fulfill both CBP reporting and TSA international waiver requirements, and promote a Department-wide approach to maintaining robust general aviation security standards. DHS expects the streamlined system to take effect on Sept. 1.